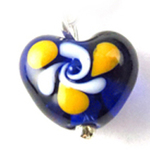 Hand-made glass charms in your school or team colors on hand-made sterling hooks. The hooks are thin for comfortable wearing. 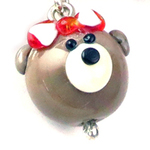 Pretty gift for birthday, holiday or graduation. Complements School Joolz bracelets and necklaces nicely. The sterling hooks slide easily into your ear. 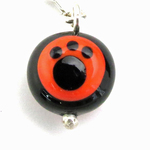 The glass charms are about 1/2" in diameter. With the hook, the earring drops about 1 and 5/8". 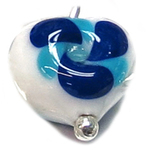 The glass charms and hand-cut/hand-stamped sterling medallions are all made at School Joolz studios in Amesbury, MA. 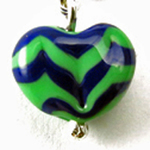 Shipped in a nice gift box with gift bag/tissue for easy gift-giving.